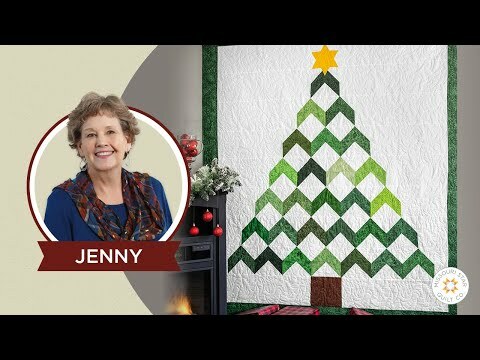 Digital Download - Christmas Tree Pattern by Missouri Star - Missouri Star Quilt Co. - Missouri Star Quilt Co.
Stitch together a colorful Christmas tree that'll last for years to come in charming chevrons or cute pinwheels! No matter how you adorn this tree, it's sure to make the season bright. Pick up your favorite package of green 10" squares, add 3 1/2 yards of background fabric, and finish it off with 1/4 yard each in brown and yellow for a sturdy trunk and the perfect star on top. Finished size: 73" x 81"